Welcome to our next ‘Birding Tour USA’ adventure. Southeast Arizona is a land of stark contrast and spectacular scenery. 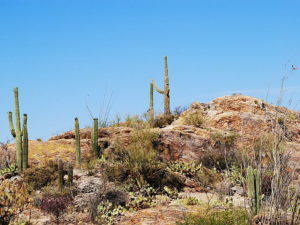 In the lowlands, granite outcroppings, towering saguaro cactus, and sandy washes typify the Sonoran Desert, a landscape featured in so many ‘western’ movies. This fabled desert is the home of such iconic desert species as Greater Roadrunner and Gambel’s Quail. 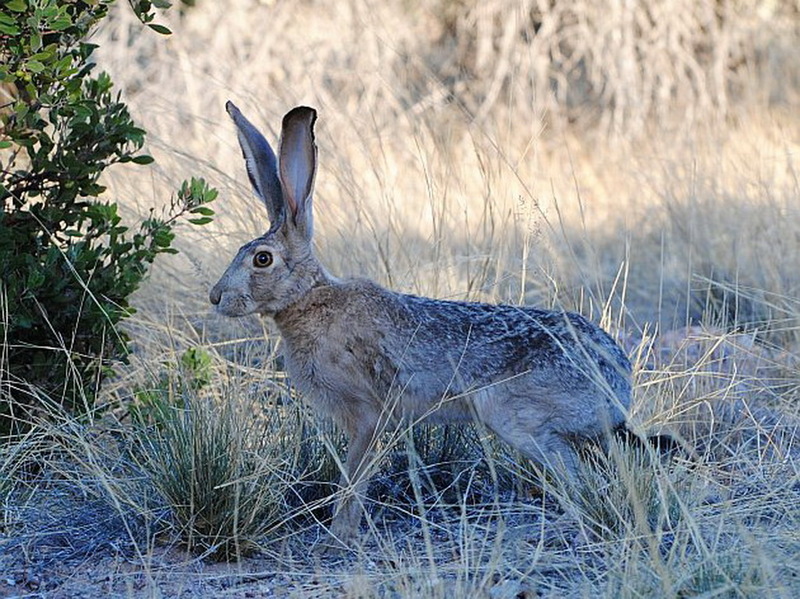 Rising from this desert, isolated mountain ranges clad in Madrean pine-oak woodland provide a habitat found nowhere else in the United States. 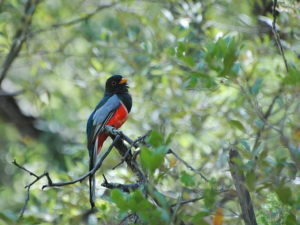 These forested mountain islands, with provocative names such as the Huachucas and Chiricahuas, are the northernmost outposts for a long list of primarily Mexican species such as Elegant Trogon and Red-faced Warbler. The canyons ringing these mountains carry ephemeral streams to the parched lowlands below, creating ribbon-like groves of cottonwood that act as a conduit for even more tropical birds to enter southeastern Arizona, such as Thick-billed Kingbird and Violet-crowned Hummingbird. Together, these contrasting habitats make southeast Arizona one of the most exciting regions to bird in North America with more bird species than any other landbound area of comparable size in the United States. Only California, Texas, and Florida have state lists longer than this relatively small region! 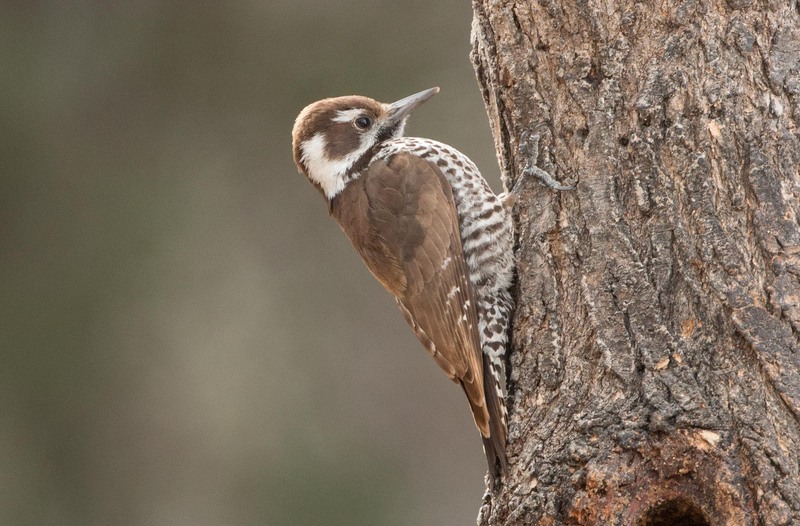 Of these birds, thirty-six species are not regular anywhere else within the United States, making it a must for North American birders. The area north of the Mogollon Rim, an escarpment that defines the southwestern edge of the Colorado Plateau, presents a completely different impression of Arizona with its extensive Ponderosa Pine forests, permanently snow-capped peaks, and steep canyons. The most famous of these canyons, the Grand Canyon, is one of the Seven Wonders of the Natural World. The birds in this region are more typical of the Rocky Mountains, such as Lewis’s Woodpecker and Pinyon Jay. 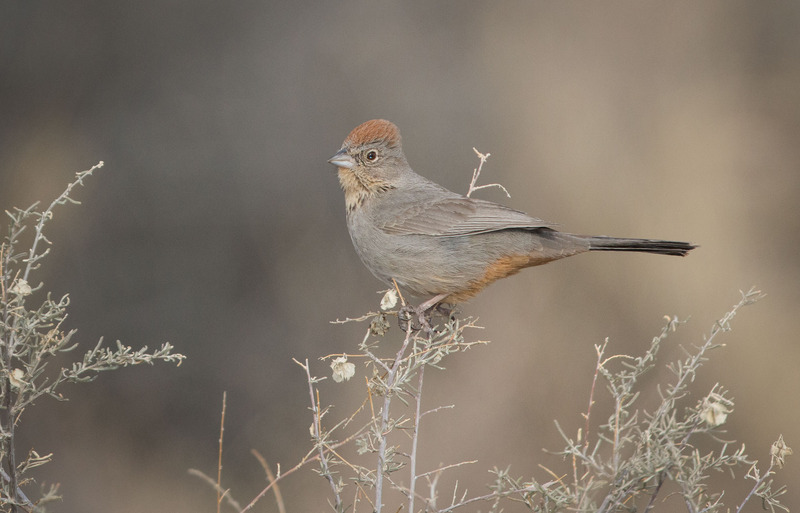 We begin this Birding Tour USA adventure near the city of Phoenix, exploring the chaparral-juniper scrub of Mount Ord for two specialized and range-restricted species: Grey Vireo and Black-chinned Sparrow. In the southeast of the state, the Chiricahuas will provide us with our first true taste of birding the Madrean sky islands, with specialties such as Elegant Trogon, Olive Warbler, and Mexican Chickadeefeaturing prominently in these mountains. 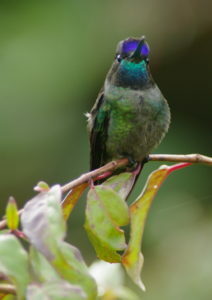 Further west, we will punctuate our time spent in the upper elevation sky islands with vigils at lowland hummingbird feeders for Violet-crowned Hummingbird and Lucifer Sheartail. 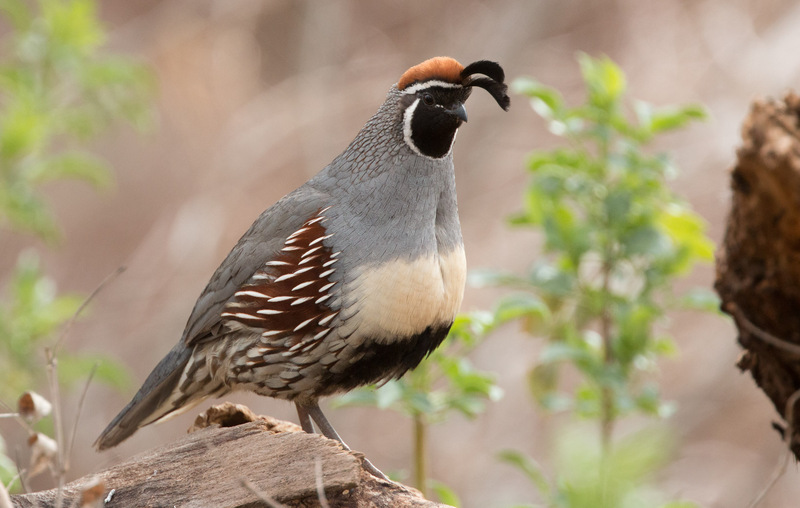 Also on this Birding Tour USA excursion a visit to California Gulch, famous for its small population of Five-striped Sparrow, will also give us our best chance to see the exquisitely patterned Montezuma Quail. Near Tucson, we explore the Sonoran Desert via Saguaro National Park for classic desert species such as Cactus Wren and Pyrrhuloxia. We then head north out of the desert to the city of Flagstaff. 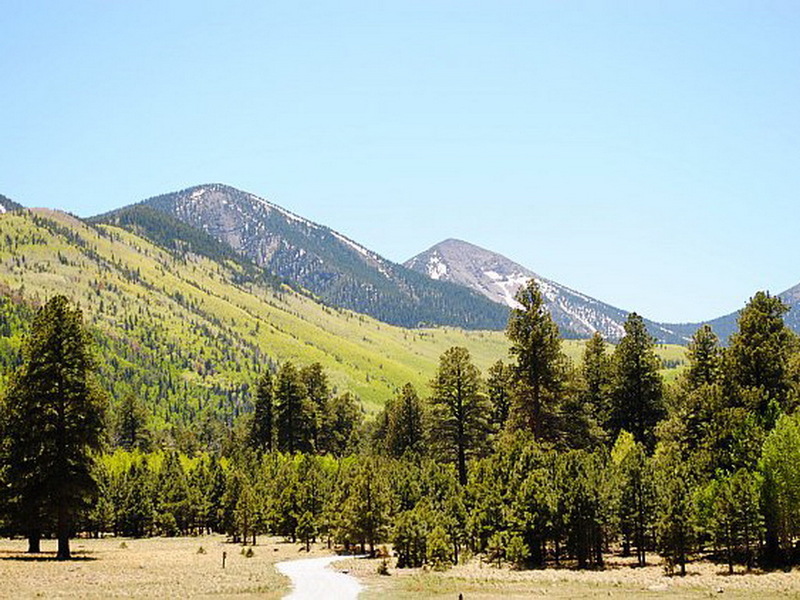 Rising north of the city, the majestic San Francisco Peaks, the highest mountains in Arizona, are home to a long list of iconic Nearctic species such as the amazingly-hued Mountain Bluebird and bizarre Clark’s Nutcracker. We spend our final sunset in Arizona at the Grand Canyon with magnificent California Condor – a fitting end to what should be a memorable Birding Tour USA adventure. After arrival at Phoenix Sky Harbor International Airport participants should plan on transferring to our hotel, where a room will be reserved in your name. 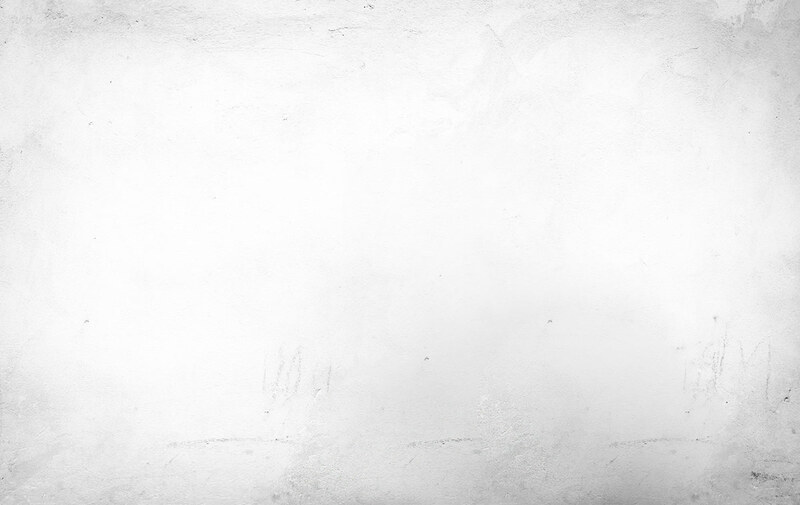 We will gather in the hotel lobby at 5:30 p.m. to meet each other and have dinner. 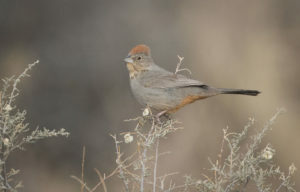 Located in the Mazatzal Mountains northeast of Phoenix, Mount Ord offers our best chance at seeing several species much rarer further south, such as Grey Vireo and Black-chinned Sparrow. 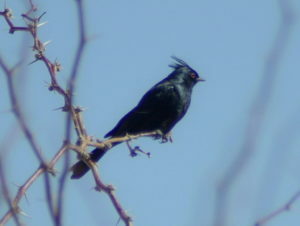 The lower slopes of this mountain, covered in chaparral and juniper scrub, can be alive with the song and bustle of birds early in the morning, and we will hopefully obtain our first views of dry country specialties such as Scott’s Oriole and Phainopepla here. The Old Beeline Highway, our next stop, is a traditional site for two normally rare to uncommon raptors in the United States, Common Black Hawk and Zone-tailed Hawk. 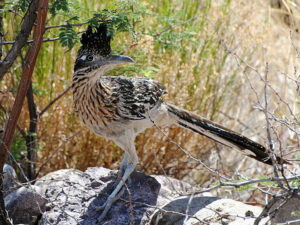 They nest in this lovely area along tree-lined Sycamore Creek, which runs right by this historic highway. After catching up with all of these species we head southeast to the fabled Chiricahuas, the first of the Madrean sky islands we visit on this tour. We stop at Lake Cochise near the town of Willcox along the way, an important oasis for migrating shorebirds and waterfowl in an otherwise arid and barren landscape. 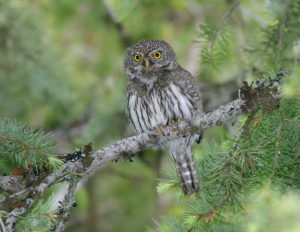 After checking into our accommodations in Portal on the eastern flank of the Chiricahuas we will have our first owling session right in town for the pixie-like Elf Owl and perhaps even Common Poorwill. The Chiricahua Mountains, which means “Big Mountain” in Opata, rise spectacularly out of the surrounding desert as the single-largest mountain mass south of the Gila River in Arizona, while also boasting the most diverse land-bounded plant and animal community in the United States. 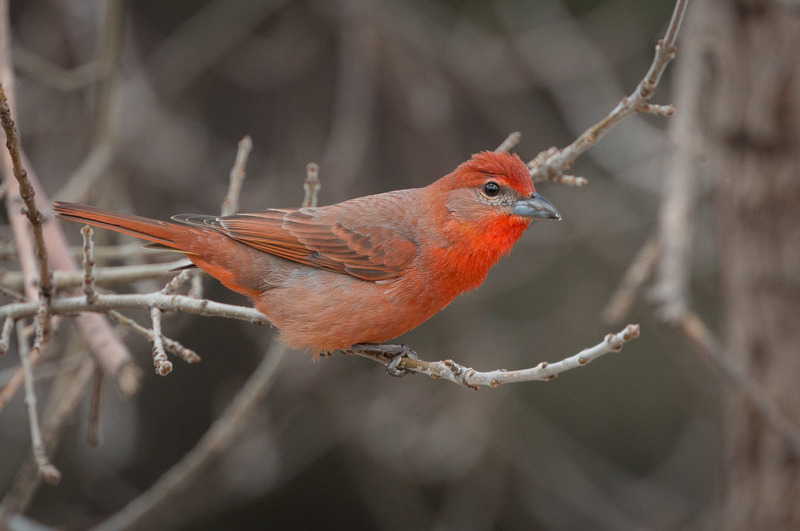 Starting in the lower-elevation desert valley at dawn, we explore the area around Big Thicket for the impossibly-billed Crissal Thrasher. As the day heats up we retreat to the cooler forests along the South Fork Cave Creek Trail – a trail renowned for its breeding population of Elegant Trogon, the star of any birding trip to Arizona. 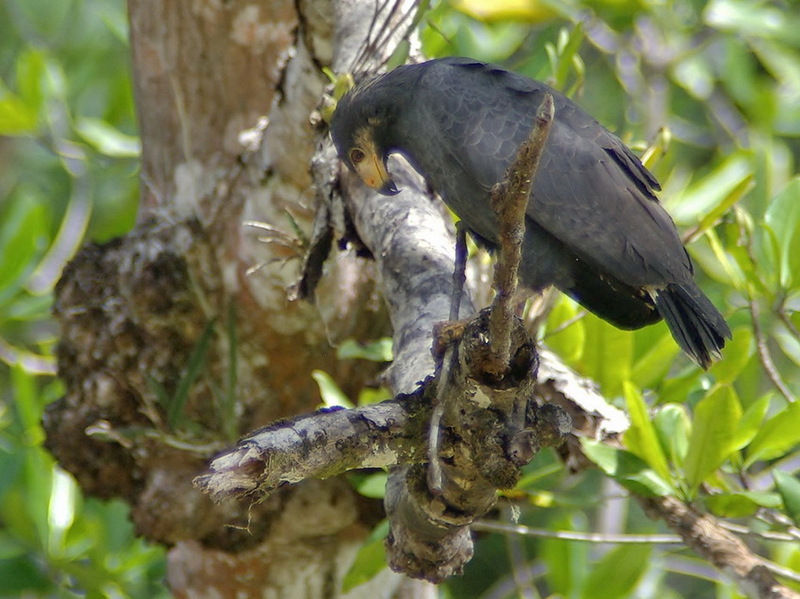 More common specialties such as Bridled Titmouse, Mexican Jay, and Painted Redstart also occur here, providing us with our first real taste of Madrean sky island birding. 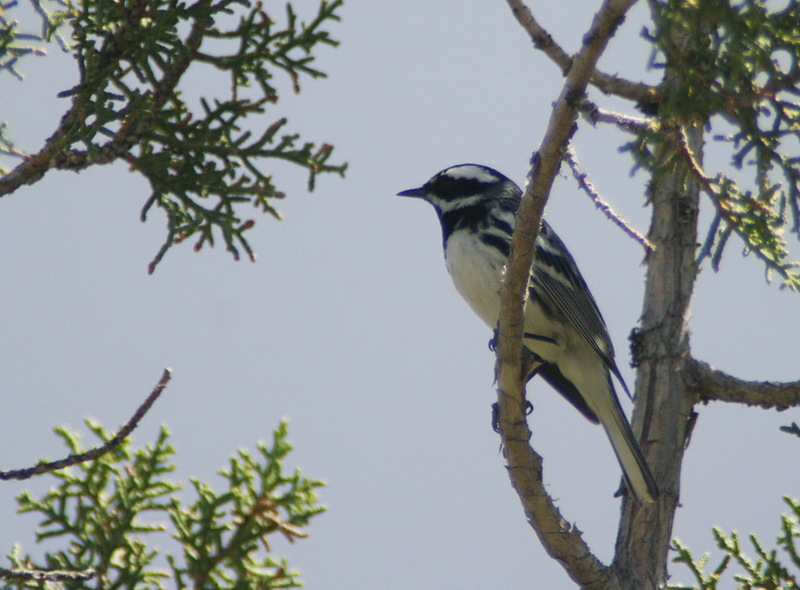 The Chiricahua Mountains claim the only accessible population of Mexican Chickadee on public lands in the United States, so we make a special effort to see them on this itinerary. After lunch we drive up to the Paradise Road junction around East Turkey Creek to find it. A little further along this road the old mining town of Paradise harbors excellent feeders, which attract the localized Juniper Titmouse. We end the day in the upper elevations of the Chiricahuas, putting ourselves in position for Flammulated Owl. We begin our day at Rustler and Barfoot Park in the cool higher reaches of the Chiricahua Mountains, where we search for several high-elevation targets such as the unique Olive Warbler and the brilliant Red-faced Warbler. 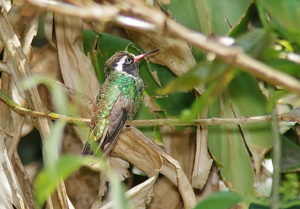 These sites also offer a second chance at Mexican Chickadee if we failed to see it on the previous day. Unfortunately, as the day wears on we have to pull ourselves away from the airy panoramas and charismatic birds of these sites and descend down the mountains to make our way to Sierra Vista. 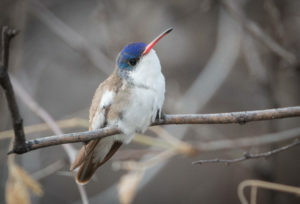 Just outside of the city of Sierra Vista we will stand vigil at the Ash Canyon Bed and Breakfast feeders in the late afternoon, if Lucifer Hummingbird is visiting. 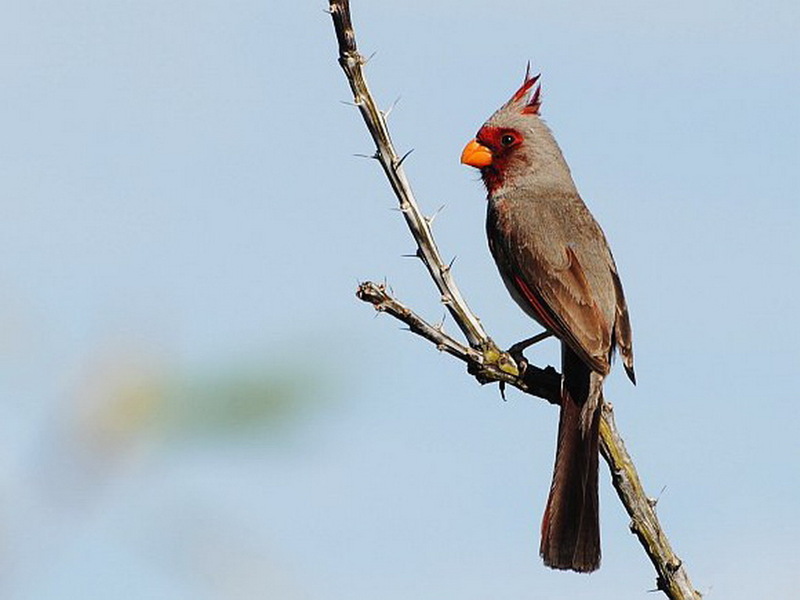 Straddling the border with Mexico, the Huachuca Mountains are the second of the Madrean sky islands on our itinerary, offering a slightly different set of specialties from the Chiricahuas, such as the semi-colonial Buff-breasted Flycatcher and the charismatic Spotted Owl. 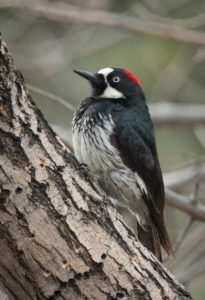 A series of canyon outlets on the eastern flank of these mountains, such as Carr, Ramsey, and Miller Canyons, provide access to the pine-oak woodlands where these species occur. 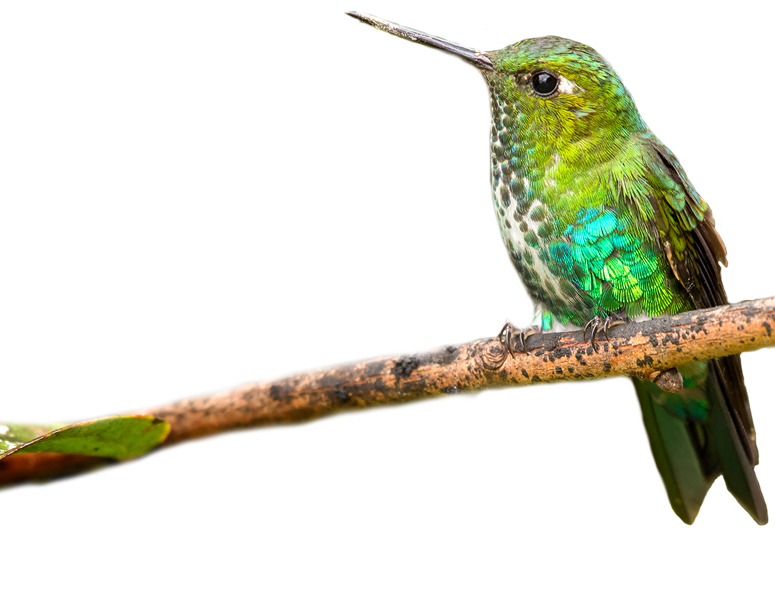 If any rare Hummingbirds, such as White-eared or Berylline, are visiting feeders in the area at the time of our visit, we will make sure to chase them. 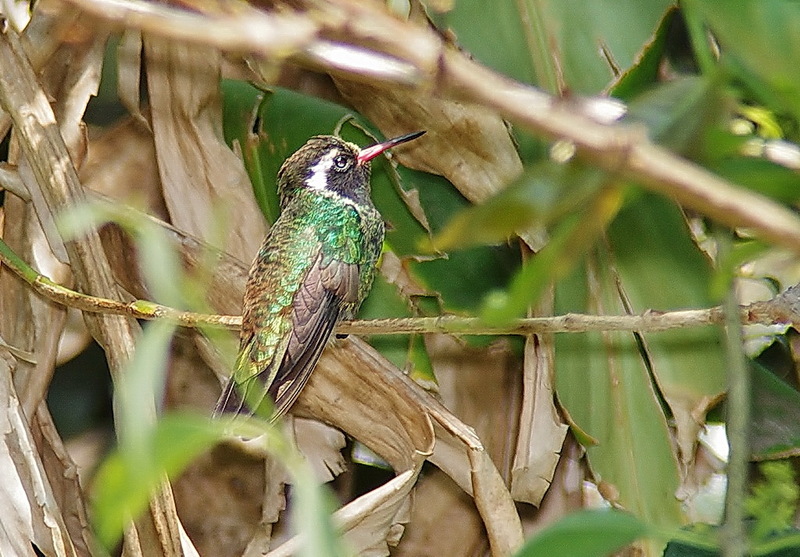 On our way to Nogales we will stop in the town of Patagonia and the Patagonia Roadside Rest Area for Violet-crowned Hummingbird and Thick-billed Kingbird. The attractively-marked Five-striped Sparrow, first seen in Arizona in 1957, is one of the most highly valued bird species among North American birders due to the combination of its relative rarity and inaccessibility of its habitat. 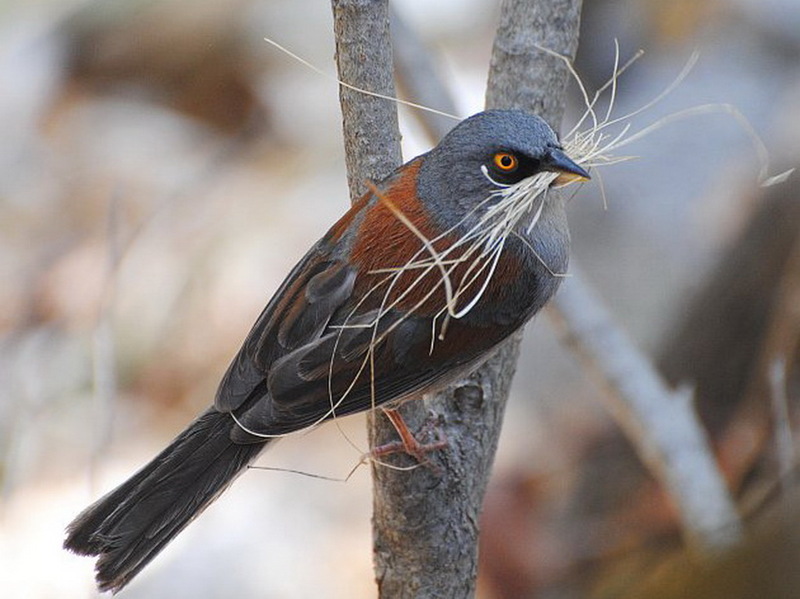 Surveys reveal maximum counts of fewer than 50 territorial males each nesting season, showing how few of these birds nest in the state. 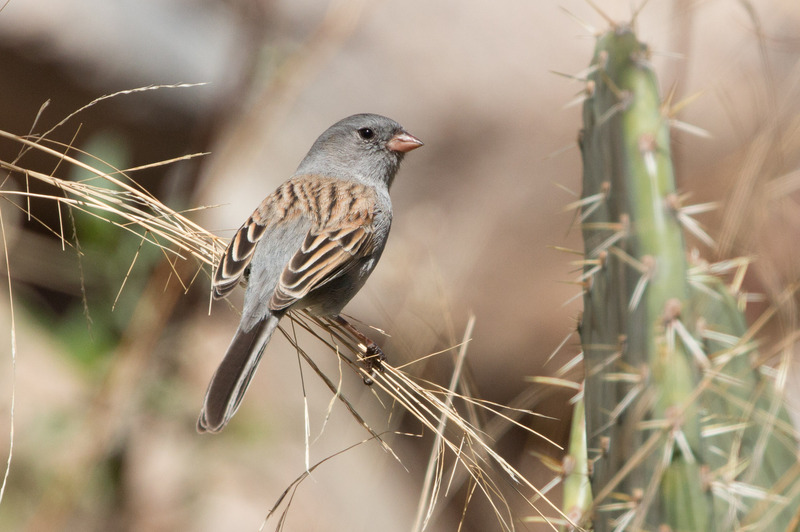 California Gulch is arguably the most reliable and accessible site in the country to see these sparrows. By getting an early start along the often rough dirt road to California Gulch, we also hope to connect with other species such as the multicolored Varied Bunting and perhaps even the splendidly-marked Montezuma Quail.  After a brief stop at the Rio Rico Ponds north of Nogales we drive north to Madera Canyon in the Santa Rita Mountains for the afternoon to clean up on any Madrean sky island specialties we may still be missing. After watching the spectacular western sunsets typical of the area we will also do some owling to search for a few more nocturnal species such as Western Screech and Whiskered Screech Owls. 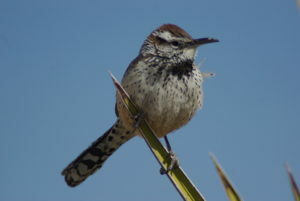 Sunrise will see us along the Madera Canyon Road in search of the subtly-patterned Botteri’s Sparrow. Afterwards our plans will mostly depend upon which species we may still be missing or which rarities, such as Black-capped Gnatcatcher or Rufous-capped Warbler, are available. We end our day at Sweetwater Wetlands, a constructed wetland in Tucson, to observe the resident family of Harris’s Hawk along with an assortment of wetland birds that use this artificial oasis. 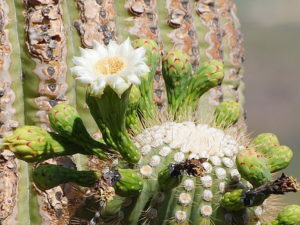 The drive up the southern flank of the Santa Catalina Mountains north of Tucson is memorable not only for its sweeping vistas but also for the tremendous changes in flora and fauna over the 35-mile trip up to the top. 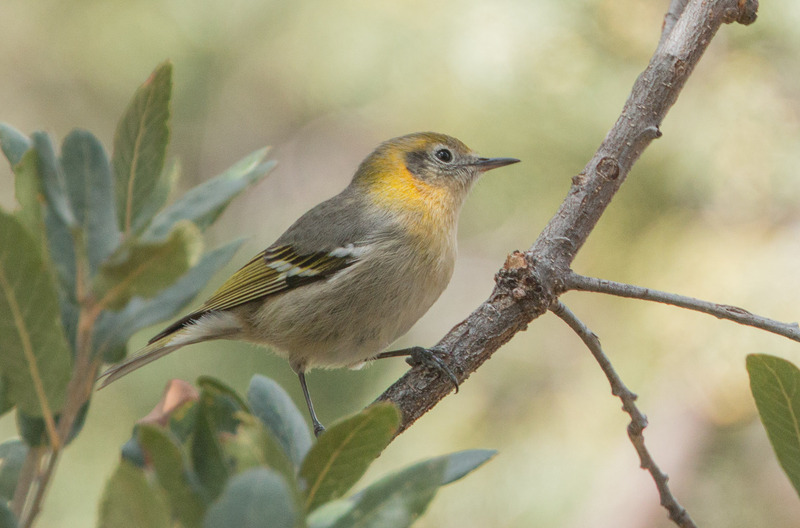 We spend an entire day exploring this scenic mountain of striking contrasts, concentrating primarily on the cooler higher elevations, where we hope to catch up to a few species that are more difficult elsewhere in southeast Arizona, such as Virginia’s Warbler. In addition we will stay in these mountains past sunset for some extra owling for species such as Flammulated Owl and Mexican Whip-poor-will if we have not seen them already. 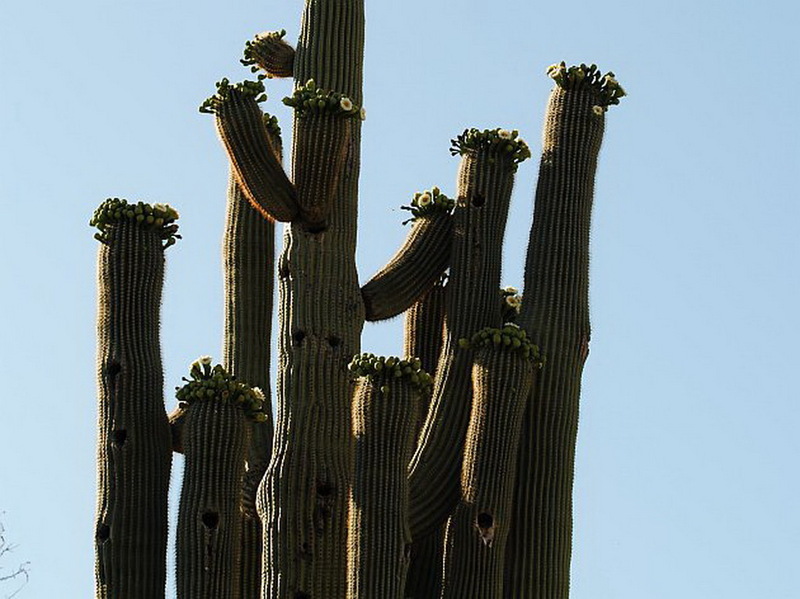 Established by President Herbert Hoover in 1933 as the first national park or monument set aside to protect a species of plant, Saguaro National Park protects some of the best examples of Sonoran Desert habitat, complete with beautiful forests of iconic Saguaro Cactus. 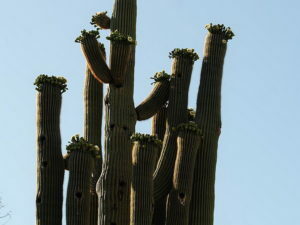 The blooms of these large columnar plants attract a wide range of birds, such as Curve-billed Thrasher, White-winged Dove, and Gambel’s Quail. 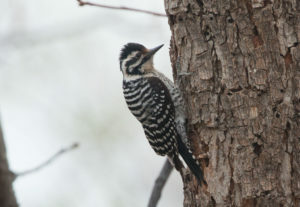 Keystone species such as Gila Woodpecker and Gilded Flicker bore holes into the columnar cactus, providing nesting sites for the local subspecies of Purple Martin, Elf Owl, American Kestrel, and others. 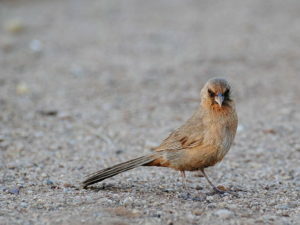 This is desert birding at its best and a habitat not to be missed. 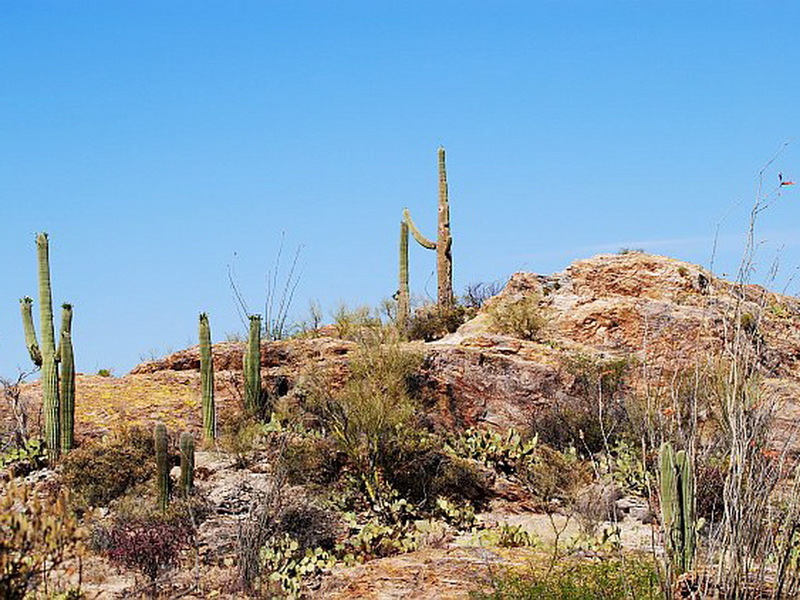 As the temperatures at Saguaro National Park soar, we leave the deserts of southern Arizona behind for the city of Flagstaff and its comparatively lush green forests of Ponderosa Pine. 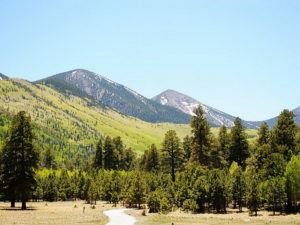 The city of Flagstaff, riddled with urban parks weaved together with a system of forest corridors and an extensive urban trail system, provides habitat for a wide variety of western specialties. 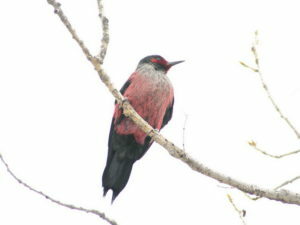 Lewis’s Woodpecker, both bizarre in appearance and behavior, features highly among our targets in the city. Alpine meadows, groves of aspen and pine, and burnt fields of tree snags create a habitat mosaic that offers an assortment of birds more typical of the Great Basin than the Sierra Madre of Mexico. We spend the day exploring this alpine habitat mosaic via several sites in these mountains for species such as Dusky Flycatcher, Green-tailed Towhee, and Mountain Bluebird. We will also keep an eye out on the numerous tree snags for woodpeckers like the uncommon American Three-toed Woodpecker and the boldly-patterned Williamson’s Sapsucker. 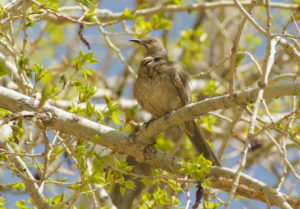 In the late afternoon we visit the Kachina Wetlands right in town for Yellow-headed Blackbird and Virginia Rail. Grand Canyon and California Condor sum up the final full day of the tour. The Grand Canyon, carved by the mighty Colorado River, is visually overwhelming for both its immense size and colorful rock walls. We make a day trip to the South Rim to enjoy this spectacular geologic feature while also looking for several Great Basin targets. Of course, the incredible California Condor, an endangered species pulled from the brink of extinction by an expansive breeding program, will be our main avian target. After enjoying our last sunset in Arizona we drive back south to the city of Phoenix for the night. We position ourselves at dawn at the now famous intersection of Baseline Road and the Salome Highway for a final target species, the pale-colored and elusive Le Conte’s Thrasher. 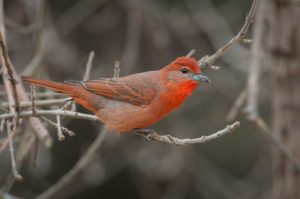 Bendire’s and Crissal Thrashers also occur here, making it little wonder why birders dub this site the “Thrasher Spot.” Afterwards we transfer back to Phoenix Sky Harbor International Airport, where the tour ends.